Choosing your wedding flowers can take time- which flowers? What colours? and pretty expensive so when you wedding day is over what do you do with your flowers? How can your keep them forever? Here are some trick on how to keep you flowers forever! To press your wedding bouquet, select as many flowers as you’d like, and spread them out on clean parchment paper. the pressing is more effective if you do sections of the bouquet at a time. Then, lay the parchment paper with the flowers inside the pages of a heavy book, like a phone book or a textbook. Add another place of parchment paper on top to keep the flowers free of ink and shut the book. Then, weigh it down with something heavy, like a vase or more books. Leave it to dry for seven to 10 days. Once the wedding flowers are flat and dry, you can arrange and frame them however you like! Another easy way to preserve your wedding bouquet is to let it air dry. 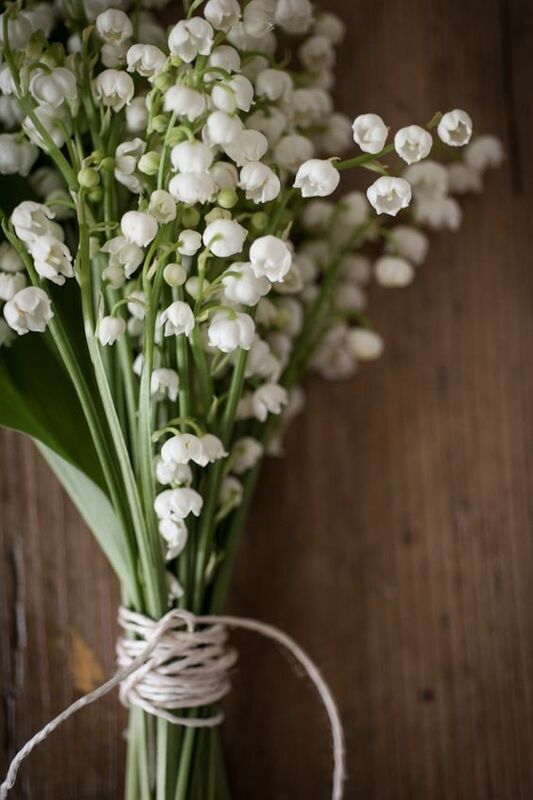 Gather up the stems and tie them tightly together, hang the whole bouquet upside down in a dry, cool area, such as a hallway cupboard. Let all the blooms air dry. Check back on them in a couple of weeks and you’ll find your bouquet has dried completely. Silica gel isn’t an actual gel but a porous sand that works to absorb water and dry flowers in one to seven days. Form a base of silica gel in an airtight container and nestle your flowers in the sand. Then gently pour the silica gel around the petals, making sure the shape of the flower isn’t compromised. Repeat this, filling until the container is full to the top, and seal it with the lid. 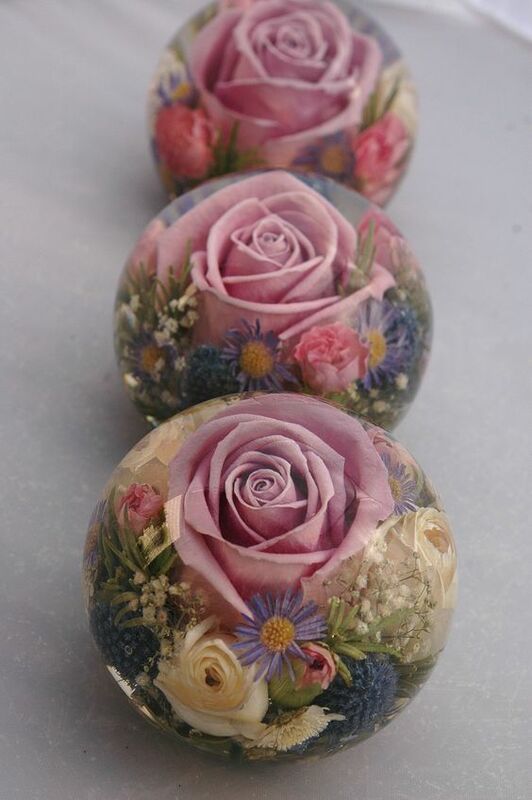 You can also use clear epoxy resin to preserve your flowers in decorative shapes. To make a globe paperweight, get a spherical mold from your local craft store. Fill it halfway with the epoxy resin and delicately arrange the flowers in the fluid. Fill it to the top and let it dry. After you take the mold off, you’ll have a gorgeous decoration that will keep your wedding bouquet in bloom forever. Wax flowers are not a permanent form of preservation, but they will extend the life of your flowers for up to six months. To wax-preserve your bouquet, you’ll need paraffin wax and a saucepan. Melt the wax in boiling water until the fluid is even and smooth. Then turn the stove to low so the wax mixture cools down slightly but is still warm. Next, take your best flowers (avoid any that are stained or wilting) and gently dip them into the wax solution. Immediately pull them out. Hang them upside down. After they’re dry, you’ll have beautifully preserved flowers for months to come! While having your wedding bouquet painted is not preserving the actual flowers, it’s still a lovely way to preserve the bouquet. Commission a local artist to paint your bouquet and it can live on in your home forever. Good luck preserving your flowers. To practice by a cheap bunch of flowers and experiment with them first!